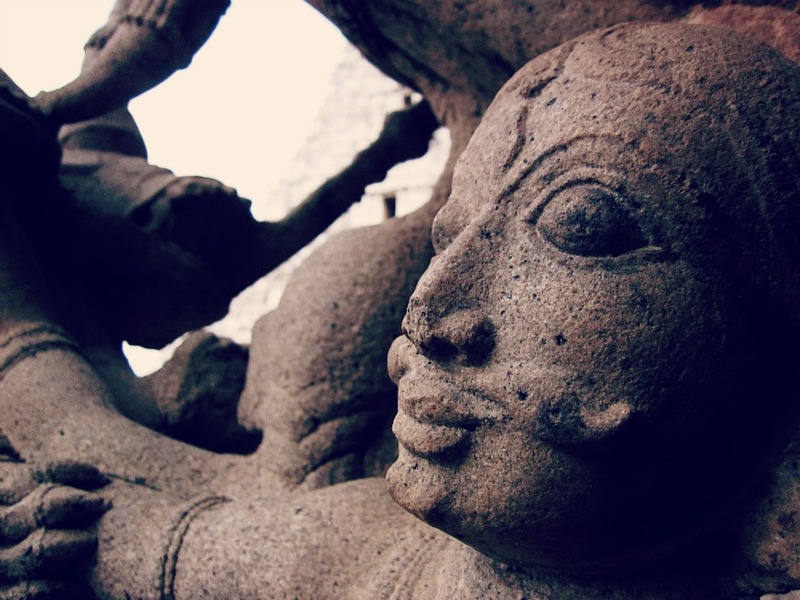 From among the many intricate sculptures at the Srirangam Temple, Trichy - TN. There's literally hundreds of them carved out of stone; won't be surprising if you took a thousand photos and still wished you had more time. I'm thinking of the patience it took to visualize, carve and assemble all of those pieces. Dude's lost a bit of his nose, but he ain't letting that get to him. That's the spirit!